Both – man-made and natural disasters tend to result in horrible loss of human’s life as well as tragic environment damage every other year. 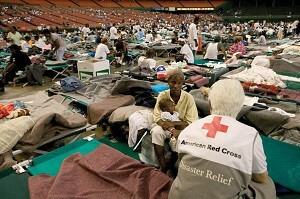 Once a disaster is over, all the people, who suffered from it, are in need of immediate help. The devastation from the hurricanes, tornadoes and tsunamis is so great that world community faces with the necessity to help the victims in many different ways. What should one do first? To start, make sure to find out the basic needs of the victims faced with the disaster. This will help you to provide the most proper response. The first days after the tragedy, local officials engaged in the disaster relief program will determine and coordinate the most crucial needs of these people. Later, the officials send a detailed list of the needs to the media organizations. Check out various reports provided by the volunteer organizations in order to be aware of what action to take. It’s a sad fact, but not all well-reputed charity organizations have local knowledge and infrastructure to use your donation in the most local and proper way. It’s important to transfer your funds to the organization that has a presence in your area. Do the victims of natural disasters need any clothing? You will be surprised, but…no. Unless the clothes are specifically requested, this kind of donations is typically discouraged. The very moment after a disaster, there is neither the time nor distribution centers to make sure your stuff won’t be thrown away. If there is a request for clothing, one should provide brand-new clothes. As for the used clothing, it should be in perfect condition and well-cleaned. Besides, the stuff should be previously sorted in accordance with: type, gender and age. Same rule is active for the donations of food. Unless specifically requested, those are not an immediate matter of concern. As the major disaster has occurred, blood is the number one thing that is always needed. If you’re ready to become a donor, get in contact with the local US Red Cross or any local hospital to get information regarding how one can donate blood for the victims of natural catastrophe. Although Red Cross and some of the other charity organizations tend to never accept personal donations, you have a great chance to initiate your own program. Take up the running to collect either various used stuff, raise donation finances, or even find books and toys since a lot of families have nothing now. Tsunamis, floods, earthquakes, volcanoes…It doesn’t matter whether the disaster happens in your area or somewhere halfway around the globe – help is always something looked-for.